When entering the market as a new software provider, it helps if you have a name behind you already, and this is a positive that GW Gaming can certainly boast. A sister of well-known skill games developer Games Warehouse, GW Gaming launched in January of 2015, and was officially unveiled at ICE the following month. In case having connections with Games Warehouse wasn’t sufficient, GW Gaming also shares owners with the US based AMI Entertainment Network. It is still necessary to ask if this is enough though, when you are competing in a field that is led by companies with decades of experience, huge portfolios of games, and reputations that have been developed and honed over long periods of time, it really is not easy to make an impact. So, does GW Gaming look likely to create room for itself in the highly competitive world of online software providers? There are some weaknesses to GW Gaming, but to be honest, only those that can describe any new provider. GW Gaming hasn’t been on the scene long, and this lack of experience could be an issue, but it isn’t like the company doesn’t have industry experience that could be transferable. Also, there is, at this point, only a small portfolio of games available, but both of these problems should change naturally over time. On the other side of the coin, there is an impressive number of positives to GW Gaming. For example, William Hill has just announced that it will be releasing the new GW Gaming slot, Lucky Empire, across its mobile, retail, and online platforms, which is quite a name to have behind you! Talking of having strong names behind you, easy integration onto other platforms and excellent relationships with the likes of OpenBet, Microgaming, Quickfire, Leander, and Odobo amongst others means that GW Gaming certainly boasts friends in high places. 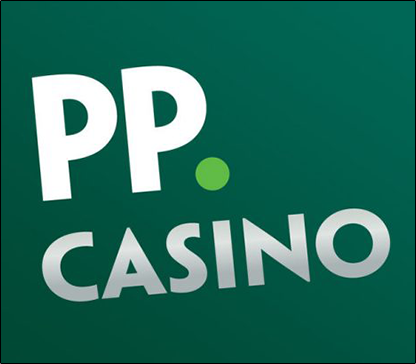 With William Hill adding their first GW Gaming title, that means that games from the provider are now available at three top casinos, with bet365 and Mr Green also carrying GW Games. As mentioned earlier, there is only a small selection of GW Gaming titles currently available, around 10, but there may be a sensible reason for that. Since the launch of the company, GW Gaming has been working hard behind the scenes, developing the relationships referenced in the previous section, and putting themselves in a strong position. Now they have accomplished the necessary groundwork, the development of more games has taken priority, and based on quotes from GW Gaming, they seem confident that they are going to be releasing a range of high quality, and varied titles over the next year or two. The iGaming market is undoubtedly a tough nut to crack, especially if you are new, but by spending time making friends and building relationships within the industry, GW Gaming has certainly pout itself in an excellent position to be able to make quite the impact going forward.